During the mid-1920’s a scheduled air service between Amsterdam and Java was still a distant dream. True, Van der Hoop, Van Weerden Poelman and Van Broeke had demonstrated with their 1924 flight it could be done. Their flight was hailed as a tremendous achievement – followed by an even more tremendous silence. Plesman recognized a lucrative deal when he saw one and quickly agreed. From March 1 onwards a Fokker F-VIIa was taken off the normal schedule and made available to Van Lear Black. Crewed by two experienced KLM pilots and a skilled mechanic (Geyssendorffer, Scholten and Weber) Van Lear Black and his personal assistant J. Leo Bayline took off for a surprise visit to a friend in Cairo (Egypt). From there they flew all over Europe and a bit more, totalling 15,625 miles. Some of those flights were over 1,000 miles non-stop, unheard of at that time. 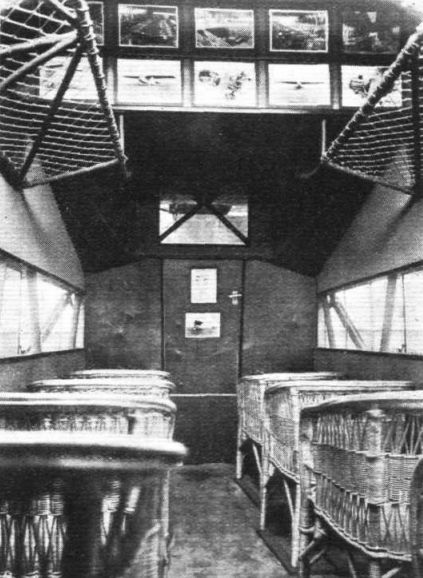 Interior of a Fokker FVIIa Fancy sitting 14 days in in one of those wicker cane chairs? During those long flights the five of them talked a lot. Van Lear Black was still pissed off about the way Imperial Airways had cold-shouldered him when he wanted to charter one of their planes. And during those talks they must have discussed the idea of a return flight to Java. 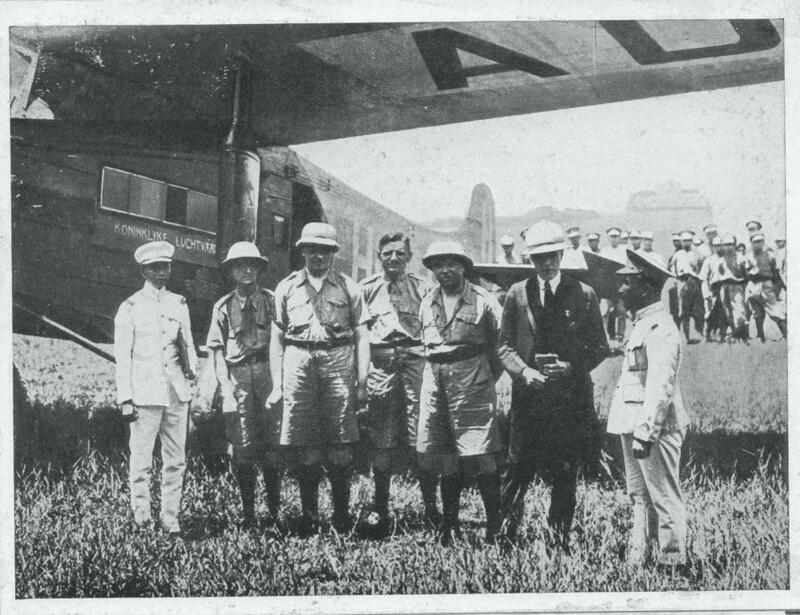 Impressed by the sturdy capability of both airplane and crew, Van Lear Black visited Plesman on May 30, 1927, jolting him again by telling him he wanted to fly to Java and back in the chartered Fokker. Moreover, he also put a seemingly impossible deadline on the whole project – he wanted to fly out in June and be back in Amsterdam by July 23. On the evening of June 13, 1927, Geyssendorffer flew his trusty H-NADP to Croydon (London) to pick up Van Lear Black. Next day he returned to Amsterdam – Schiphol and on June 15 the flight departed. 16 days later and after about 86 actual flying hours, H-NADP landed safely at Tjililitan airfield, Batavia. Thus, the outward journey was completed, with almost clockwork regularity, in 13 flying days. Three days were lost on the ground, one in Istanbul where they were held up by the Turkish authorities over a visa (Van Lear Black settled it with hard cash…) and two more days at Baghdad, owing to trouble with the lubricating system. The return flight lasted from July 6 until July 23 and was troublesome. Their route took them through the monsoon area and, on top of the nasty weather, their single 440 hp Gnome-Rhone “Jupiter” radial engine started acting up and required continuous attention. Despite all this, H-NADP touched down on Amsterdam-Schiphol’s familiar grass in the late afternoon of July 23, 1927. It had been a flight of many ‘firsts’. Van Lear Black and his crew were driven through Amsterdam in triumph!